Symantec has doubled the number of security staff to 140 with capacity for an additional 100. The expanded SoC will continue in its role as part of Symantec’s global network of six SoCs providing 24x7 coverage and also, for the first time, will provided dedicated 24x7 support to Symantec’s Indian customers. The expansion makes Chennai Symantec’s largest SoC and reinforces India’s key role in Symantec’s operations. The country is home to 2800 Symantec employees including 1500 R&D staff. John Lionato, vice president global operations for Symantec’s cyber security services, told Computerworld that that expansion of the SoC represented the latest phase in the company’s seven-year regional investment program. “We have tripled the Sydney SoC, tripled the Tokyo SoC, built the Singapore SoC and now doubled the Chennai SoC,” Lionato said. Lionato estimated the additional capacity in the expanded SoC would likely be taken up within two or three years. “The market is creating more demand for us,” he said. “We try and build in capacity for 20 to 50 per cent growth depending on the area. Peter Sparkes, Symantec’s senior director for cyber security services in APJ, said the company’s Sydney SoC would soon be at maximum capacity. The current centre, opened in August 2014, was double the capacity of its predecessor. 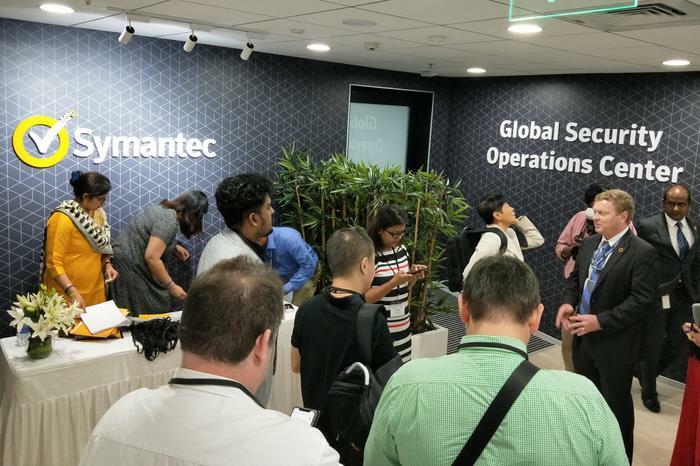 Marc Andrews, Symantec’s head of global sales, told Computerworld that the company had additional space in its Chennai facility that could be converted to a SoC quite rapidly and the real limit to growth was talent acquisition. “The war for talent is extreme,” he said. Lionato said the decision to expand the Chennai SoC and been driven by availability of talent and by India’s digitisation, which has created a target-rich environment and a new demand for cyber security services. In August 2017 Bharti Airtel – which at the time was India’s largest telecommunications services provider -- and Symantec formed a partnership to provide cyber security services to businesses in India. Under the terms of the agreement, Airtel became the exclusive cyber security services partner for Symantec in India and a distributor of Symantec’s enterprise security software. A portion of the 140 staff in the centre will be dedicated to the Airtel partnership. Andrews told Computerworld that the role played by large Indian IT outsourcing companies in supporting massive digital transformations for major global companies also provided significant new business opportunities for Symantec. “Having a local presence is a good way to capture that business,” he said. “We have a model where we provide them with source feeds from our SoC, and they contract directly with us as customers. The new SoC has been dubbed SoC 3.0, representing the third generation of Symantec SoCs, but Samir Kapuria, general manager cyber security services at Symantec, said there would be no SoC 4.0. The author attended the opening of Symantec’s new Chennai SoC as a guest of the company.